Portland, Oregon is the 24th most livable city in the world and most livable within the United States, with Forbes magazine ranking Portland as their number one pick for "The Best Places for Business and Careers 2017". Unemployment is below 4%, and Portland now has the ninth-highest concentration of highly educated millennials in a U.S. city based on Experian's most recently collated data. Portland, OR also consistently holds the top spots in most aspects of us livability for schools, neighborhoods, safety, happiness and income over the last few decades. With fashion power houses such as Nike, Columbia Sportswear, Jantzen, and Pendleton all hailing from the region and our nearly 1,000 boutiques, an upscale buying public, and over half a dozen Project Runway winners prove that Portland is truly a serious player on the world fashion stage. 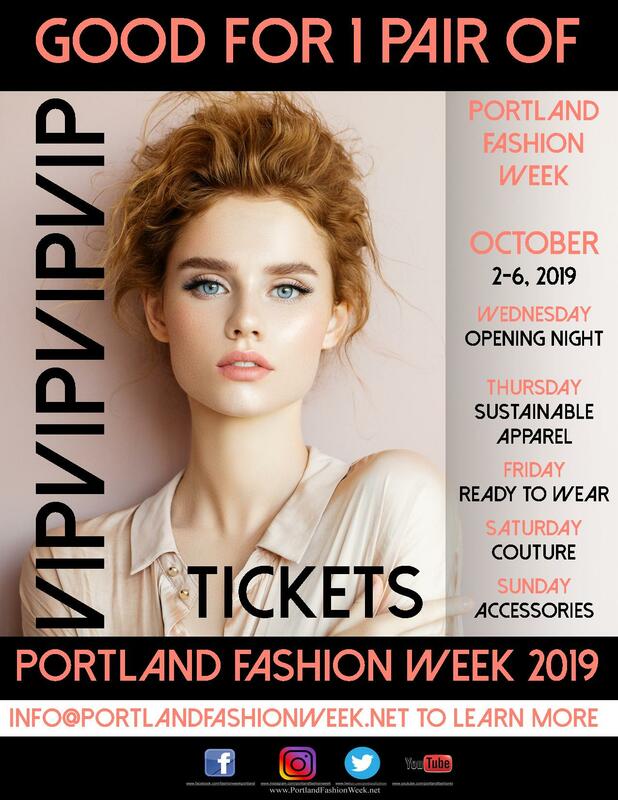 Come and see what we in Portland already know and enjoy - the awesomeness of our city and the world's most eco-chic fashion week!